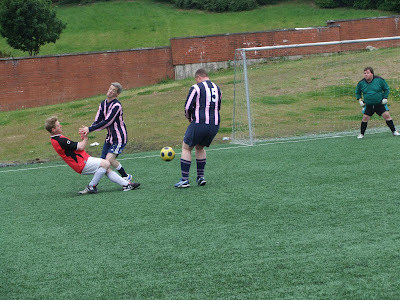 Well that's how the old expression goes! 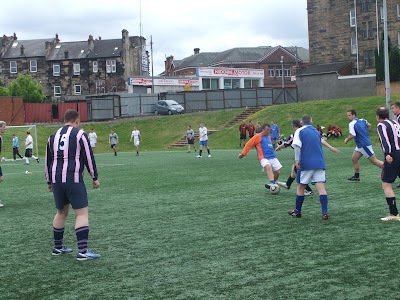 I must hold my hands up high & openly admit that I have not devoted as much time as I should to this blog over the last year or two, & as a result some stuff will be lost forever, as results are missed, & memories of matches fade. 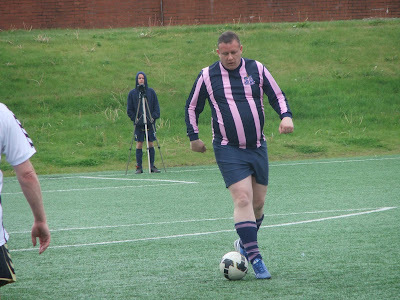 I can only apologise for this, & will try to devote more time to it in future, as I know people enjoy looking here, & when I put my mind to it, I thoroughly enjoy publishing stuff on here. 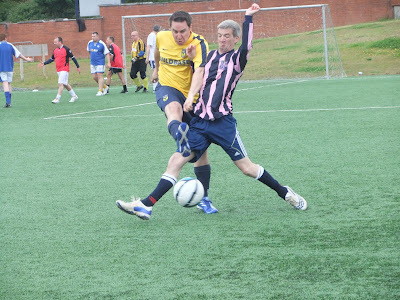 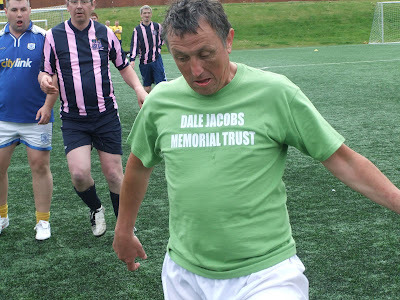 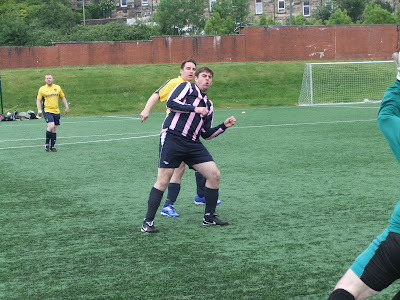 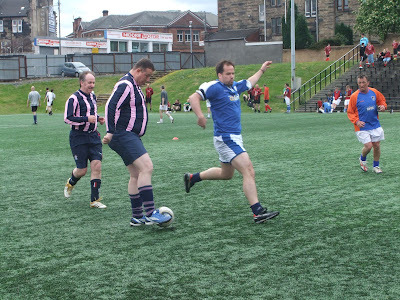 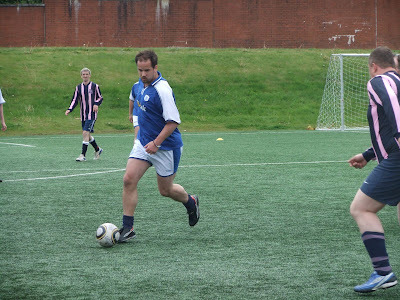 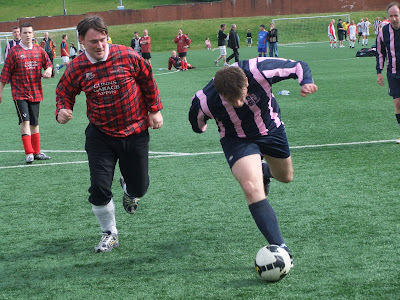 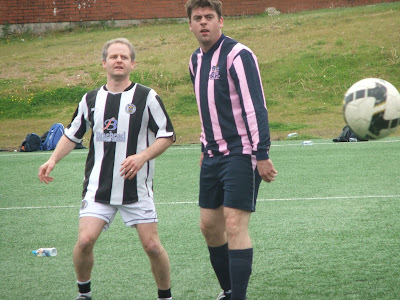 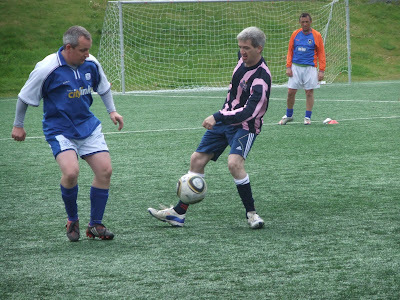 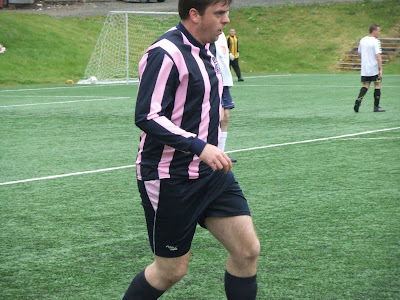 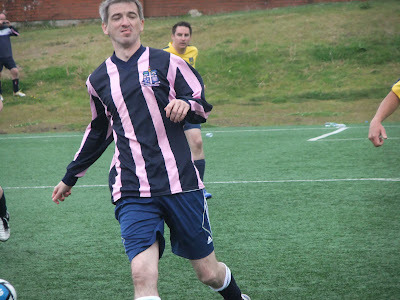 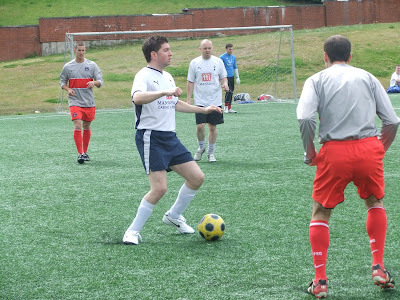 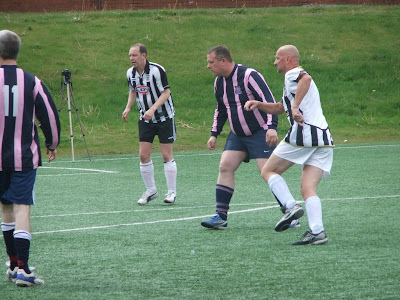 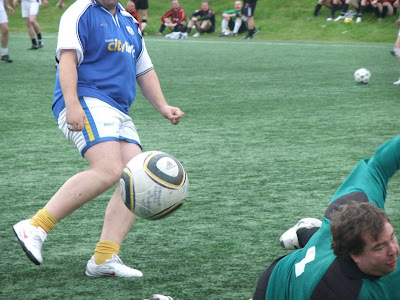 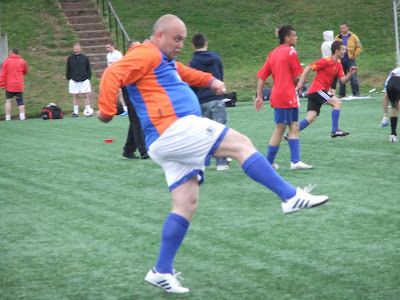 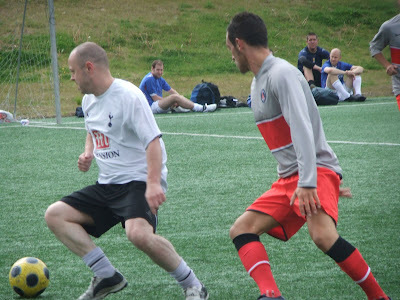 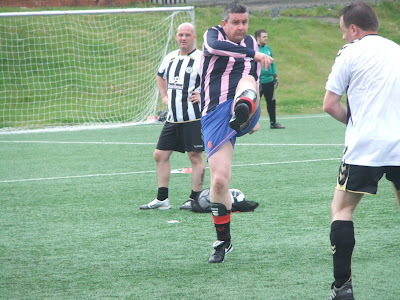 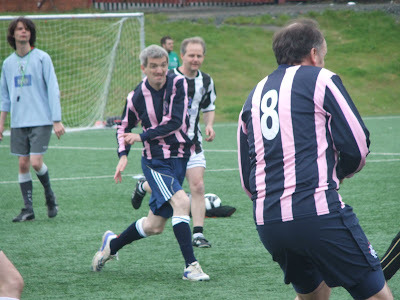 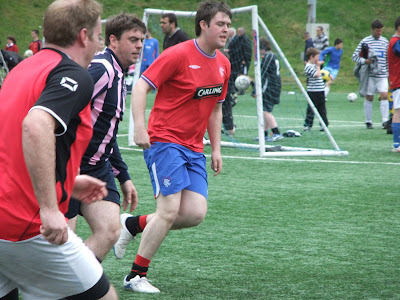 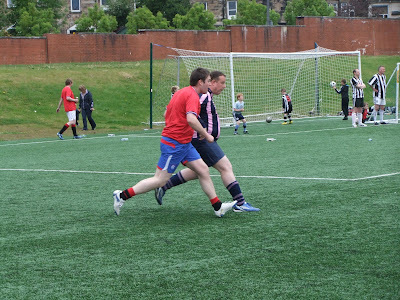 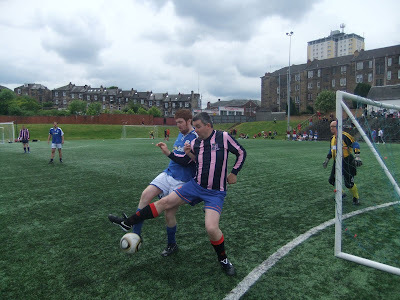 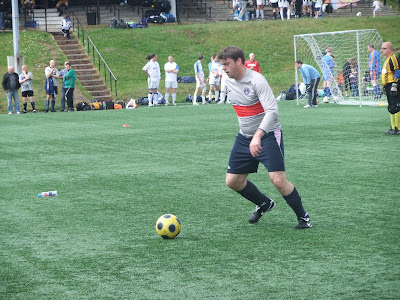 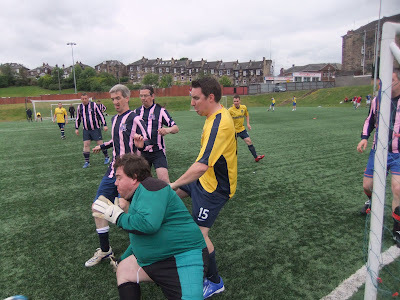 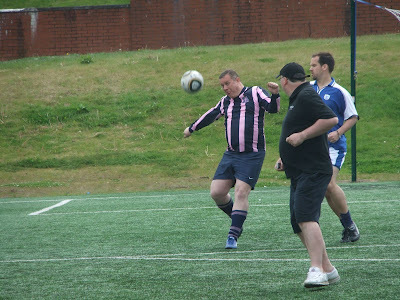 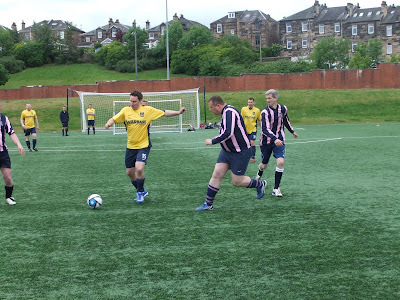 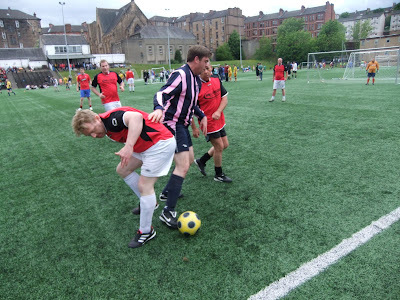 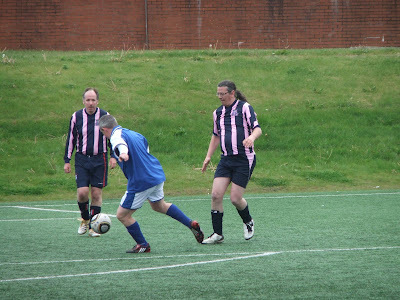 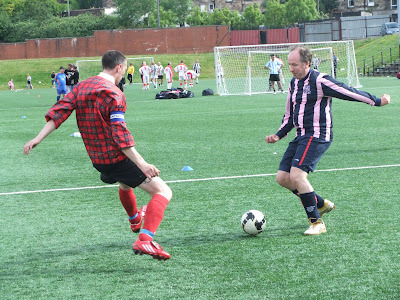 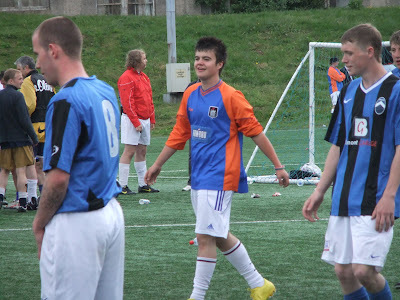 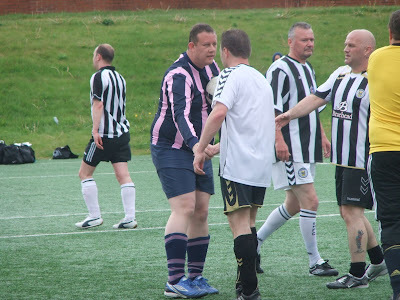 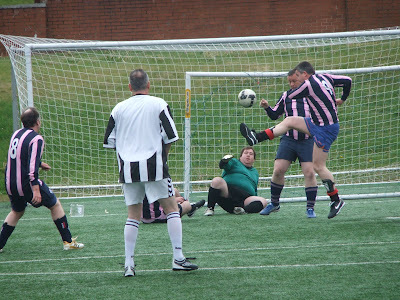 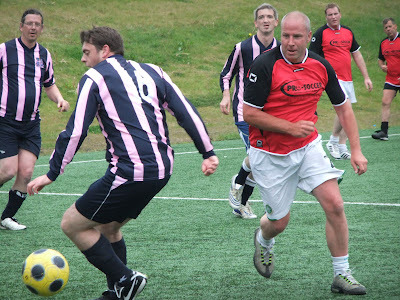 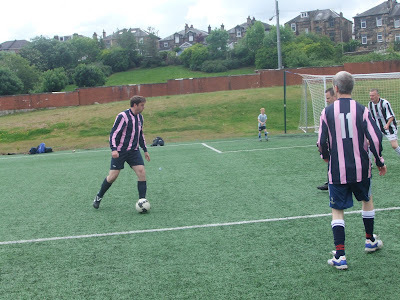 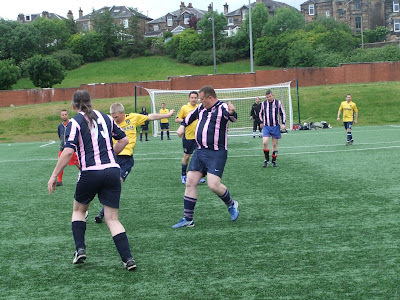 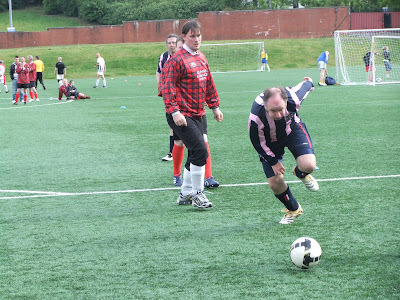 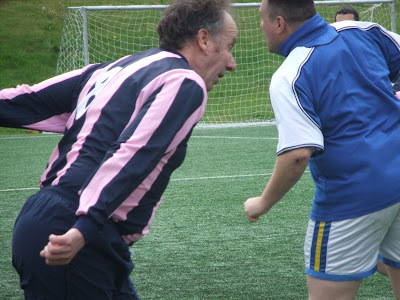 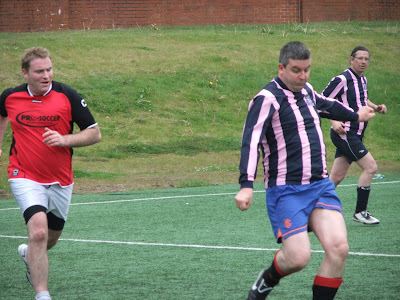 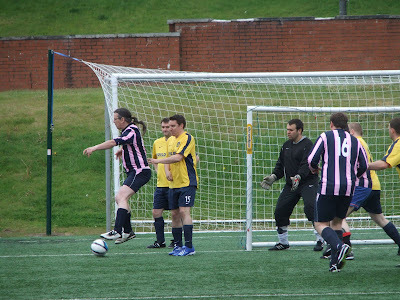 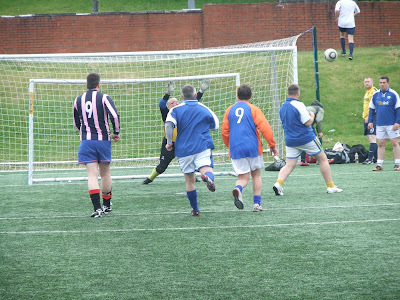 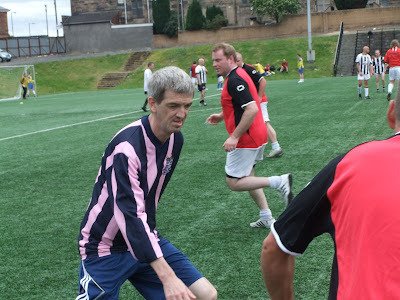 With a trip to Glasgow this coming weekend, for the Queen's Park Supporters Sixes, as our 2011 Summer Tour, it seems an opportune moment to mention our debut in the competition last year, which was back on the 29th May 2010. 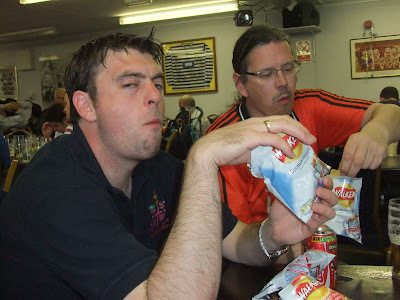 Twelve months ago our main summer trip was to Namur, in Belgium, for their cometition, photos & a write up to be added by me again, sometime over the summer! 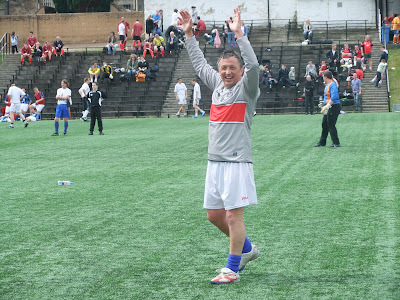 Glasgow was not a 'tour', simply a small number of us who wanted to take part, with the blessing of our management duo of Mick O'Shaughnessy & Mark Hutton, who weren't interested in taking part themselves. 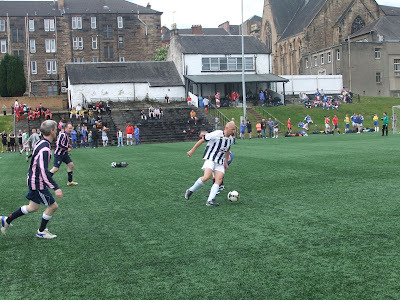 As it was there was only a small group of us from London who took part, aided, thanfully, by two Scottish friends of Ian Gannon, who were from Glasgow. 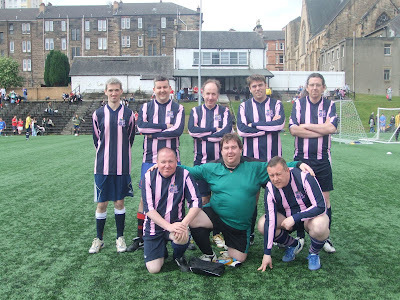 Back row(left to right): Ian Gannon; Jock One; Jock Two; Lawrence Marsh; Paul Griiffin. 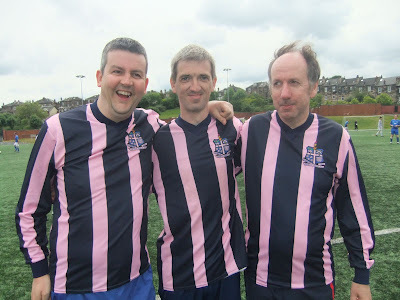 Front row (l. to r.): Mishi Morath; Matt Hammond; Steve Rickerby. 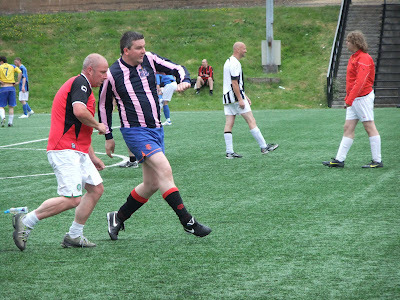 We took part, unsurprisingly & thankfully, in the Veterans part of the day, competing in the Gary Brooks Masters tourney, rather than the main/fitter Ian Younger Sixes. 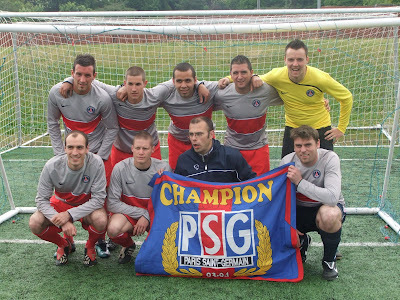 In the main competition were our close friends from over the Channel, led by Nicolas Lucas, the Belgian Branch of the Paris Saint Germain Supporters Club, with Lawrence Marsh once more 'guesting' for them, as he did in 2009. 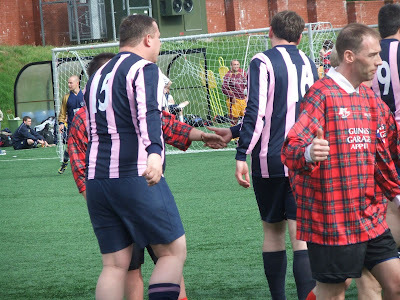 By doing so this led to our friendship with Queen's Park, which resulted in our eleven-a-side trip there back in March last year, & the invite to the Sixes themselves. 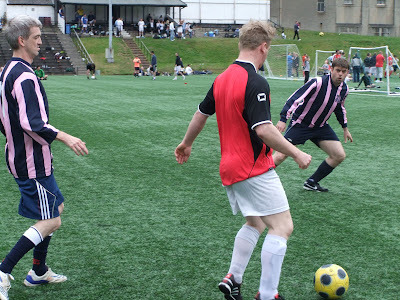 The tournament itself is a bit sketchy to say the least, from my point of view. 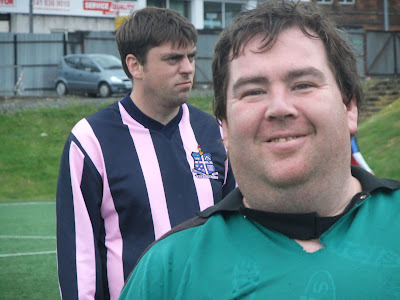 Somewhere, which means absolutely anywhere in my flat, is a notebook with scribbled notes. 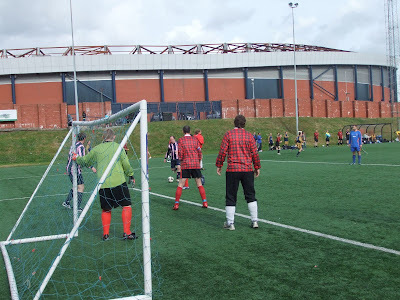 Although I've not got the time as I belatedly typpe this up to locate it, I am grateful to Iain for his excellent Queen's Park Supporters Team site, in recording the results, at least, for posterity. 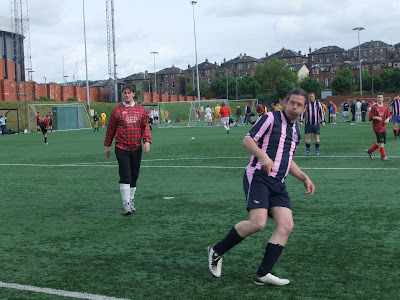 Even so, I am happy to be corrected for any 'schoolboy' errors, & hope I am! 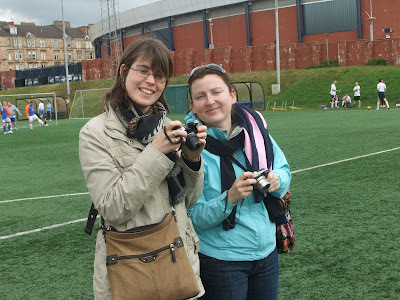 Both ourselves & the Belgians were cheered on by our combined force of WAGS, in Danuta & Melanie! 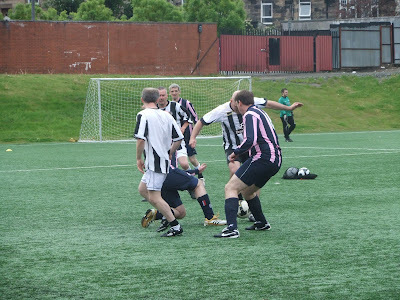 Our first match was a three nil thrashing by St. Mirren, which I suppose realistically ended any chances we might have had of doing well! 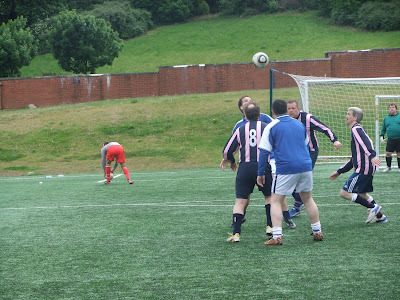 Our next match was a much closer one, only going down by the odd goal in three, against Ormond Saints. 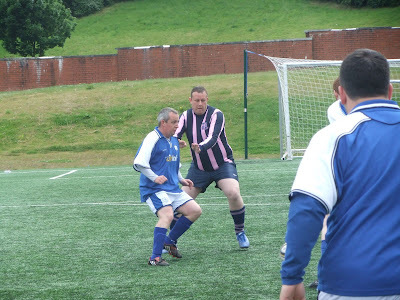 Which probably gave them the impression that we were fairly evenly matched! 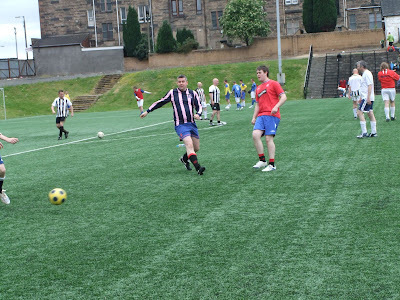 not so, as our 17-0 record defeat up there, in our mid-season 2010/11 tour showed! 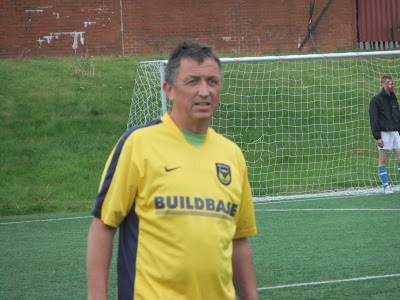 After that we were hit for five, with no reply, by Oxford United supporters. 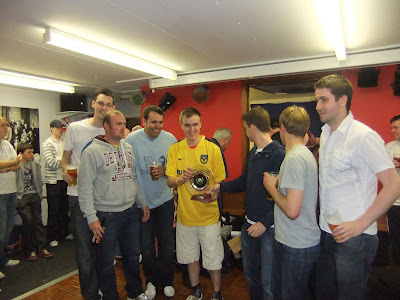 A friendly bunch, who myself & Larry had 'guested' against, for UR Namur supporters, the previous October. 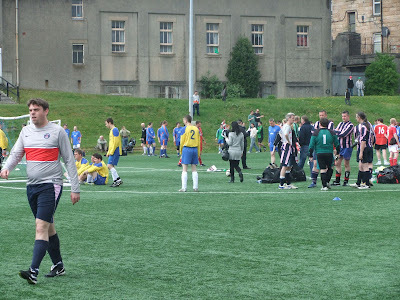 For the last 'competitive' game tiredness was kicking in, and another 5-0 reversal followed, against Bristol Rovers. 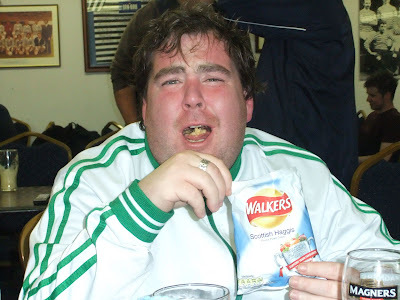 We had an equal record, nil points, one goal & 14 conceded; to Leyton Orient supporters, who were the wooden spoonists in the other Masters group. 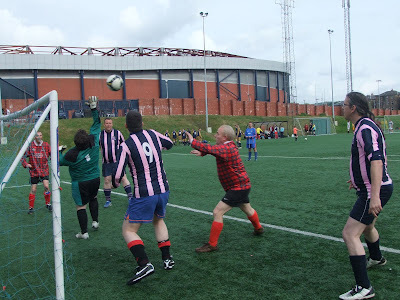 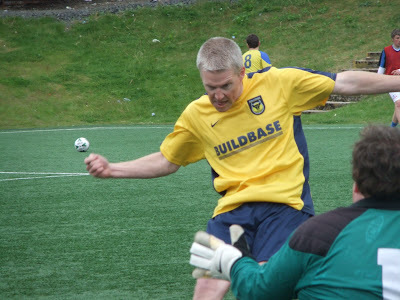 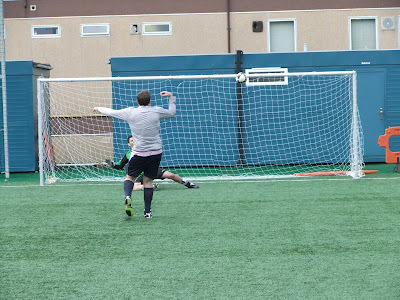 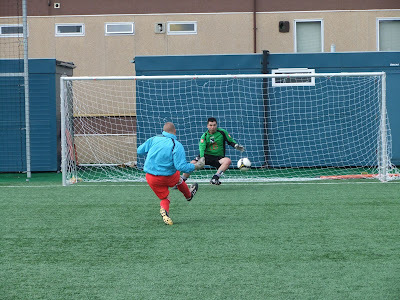 Maybe we should have had a 'crappest of the crap' play-off, but instead we had one more run out, in the Plate competition, where we lost by a single goal to MacDonald Rovers. 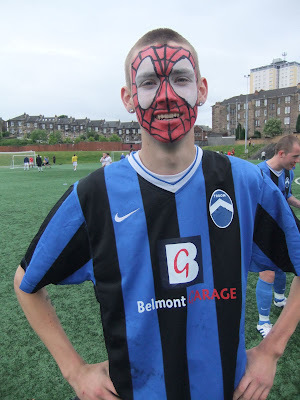 Our friends from Belgium did well, qualifying from their group, then overcoming the Ayr United supporters team Kaisayr on penalties in the quarter finals; before bowing out in the semi final, by the odd goal in seven, to Partick Thistle. 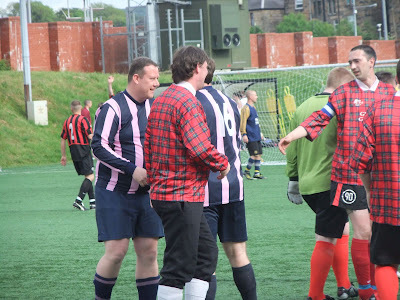 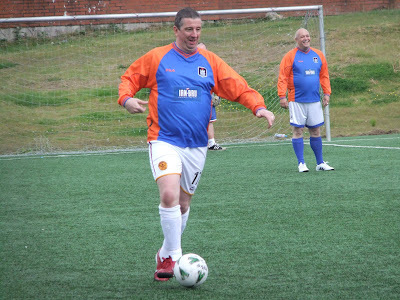 Special mention must go to 'Crossers', one of the Queen's Park mob, who was attempting to play for as many teams as possible, raising money for charity. 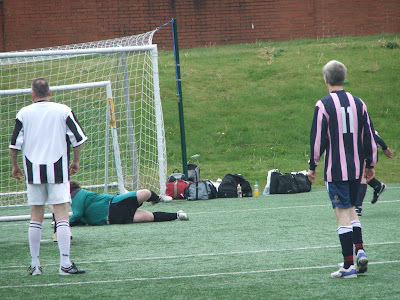 I'm not sure how many he managed, but it was well into double figures! 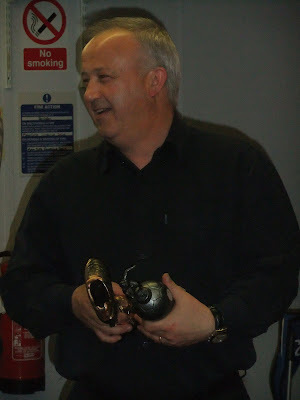 ...the English jury was undecided about them! 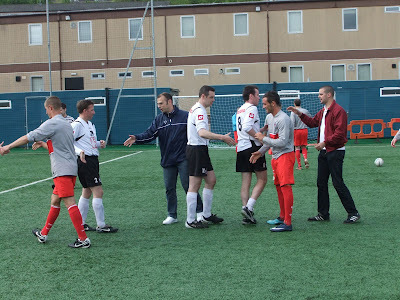 The presentations were conducted by the Queen's Park first team manager on the left! 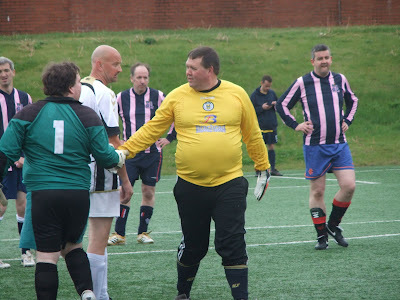 Great of him to give up some time for the supporters. 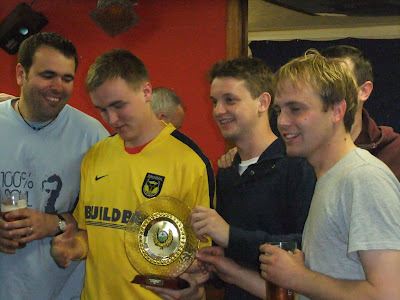 The Plate was won by Oxwell United, a mix side from our mates from Oxford United & Motherwell. 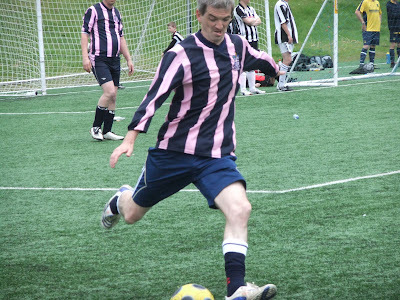 A huge thank you to everyone at Queen's Park for their hospitality. 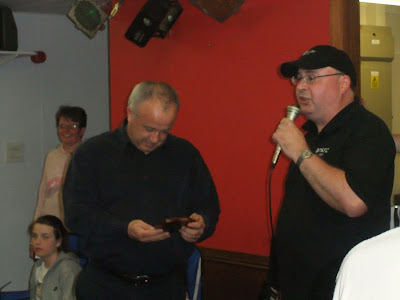 Everyone really enjoyed themselves, it was great to mix with old friends, & make new, as always. 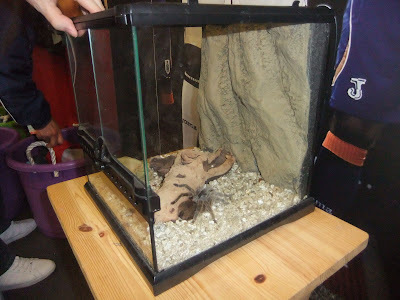 Though we didn't get close to this Queen's Park Spider, whose home is in their club shop...& in case you're wondering, yes it IS a tarantula!